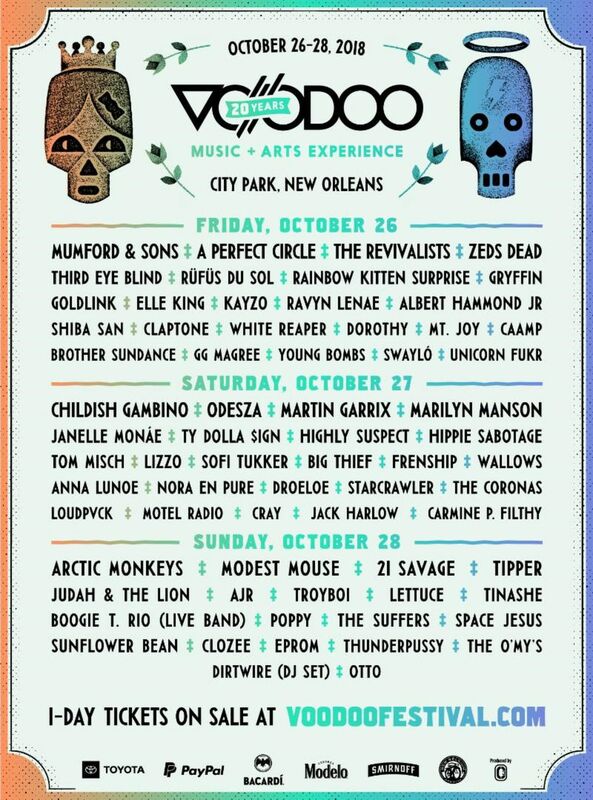 The Voodoo Music + Arts Experience 2018 has announced this year’s day-by-day lineup. The festival is in City Park on October 26th through 28th. Saturday October 27th Childish Gambino will take the stage, followed by Odesza, Martin Garrix, Janelle Monae and Marilyn Manson. The festival will wrap up on Sunday October 28 with the Arctic Monkeys, Modest Mouse, and 21 Savage. Nearly 70 bands will rock on four stages in City Park when the fest celebrates its 20th anniversary during Halloween weekend.